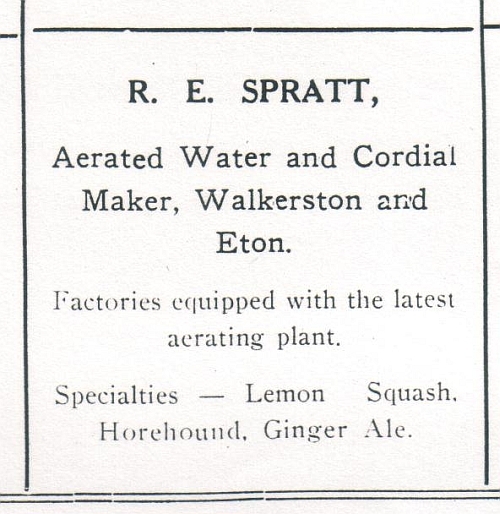 Reg Spratt started an Aerated water and Cordial factory located in Eton however this did not last long apparently due to a lack of water due to drought during this period. He was also operating a factory in Walkerston by at least 1915. The factory in Walkerston was located on the corner of Creek and Anne Streets. The land is presently used as a car park for the St John's Catholic Church which is situated over the road. Walter Spratt was his brother and appears to have taken over the business and late operated in Mackay at an unknown address. Hamilton, Pat. (1994). Sugar from the Scrub. Moorooka, QLD: Boolarong Press. Rolleston, Frank. (1987). The Defiance – The story of North Eton Co-operative Sugar Milling Association Limited, 1888-1987. North Eton, QLD: North Eton Co-operative Milling Association Limited. pp6. 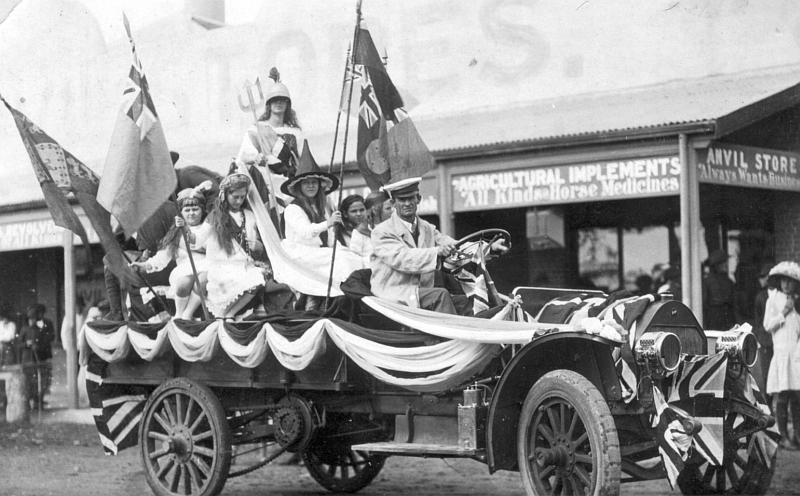 Reg Spratt driving a float in a procession along River Street. Possibly 1918 to celebrate the Armistice.